Facebook Messenger ads are a great way to help close more sales. 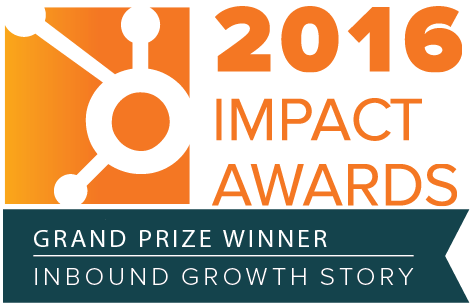 We're seeing success using them for our B2B and B2C clients. In this article I'm going to share a real use case and show you how to set up your own Messenger ad in 3 easy steps. The beauty of having a messenger ad running for your business is that it acts like a sales assistant, quietly waiting for your prospect to ask a question. Just because someone visited your website and didn't immediately fill out a contact form or make a purchase doesn't mean that they're not interested. Many people leave because they didn't get their question answered. Also, people may be too early in the research phase so they're not willing to give out their email address or phone number just yet. This is where Facebook Messenger ads step in. Your prospects can ask questions and get real time answers from your sales team without ever having to give up their information. It's a nice way to ease someone into a sales conversation. So what is a Facebook Messenger ad anyway? It is an ad that allows your prospects to directly message you or your sales team with questions they may have prior to actually engaging in your sales process. It is an easy way for people to get some personalized human answers to their questions without exposing themselves to an icky sales pitch. They don't have to give up their phone number or email address. Currently there are two different kinds of Facebook Messenger ads, sponsored messages and destination ads. I'm covering Destination ads in this article. 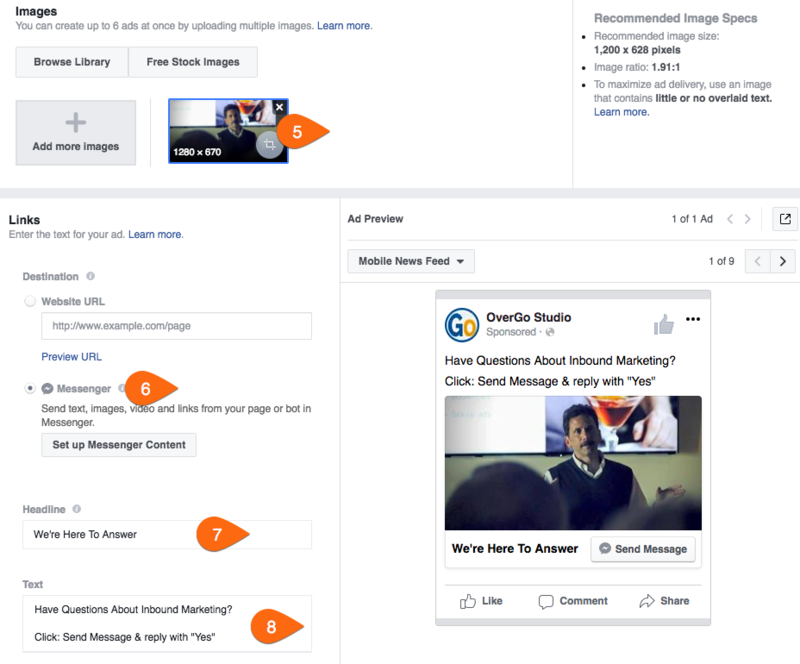 For this example I'm showing how to use messenger ads to assist in the sales process. There are many other ways to use messenger ads and I will cover them in future articles. When should you use a Facebook Messenger ad? 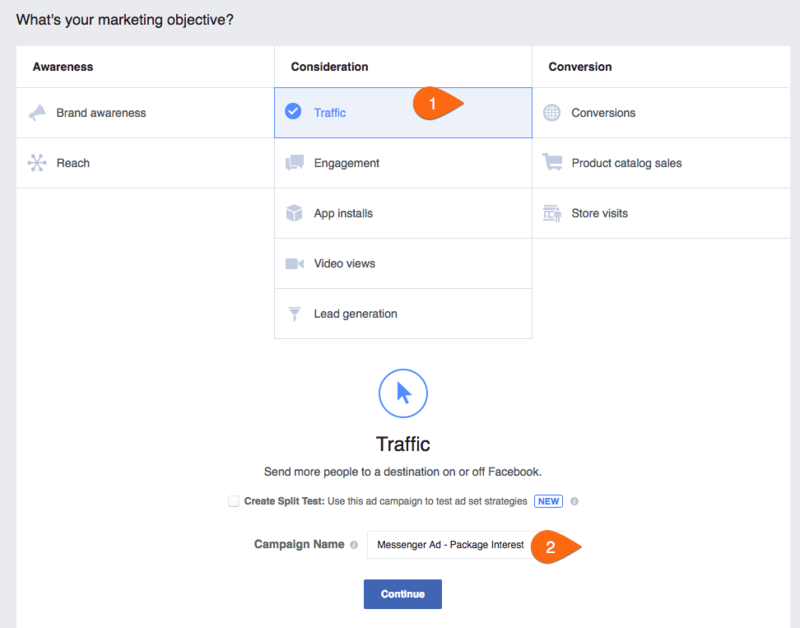 Because I'm talking specifically about Messenger destination ads, I advise using these to retarget people that are near the bottom of your sales funnel. Or they are in the consideration phase of the buyer's journey. In plain speak, you want to target people that are showing a strong interest in your product or service. This gives them an opportunity to ask and get answers to their specific questions. Many times just getting a simple question answered will move someone into being ready to buy. When our clients use this strategy we see many short exchanges that then turn into people handing over their phone number to the salesperson so they can get on a call with them and close the deal. Generally, if you're not selling an impulse item, and some interaction with a knowledgeable salesperson would help the sale, then it is worth trying. We always recommend test, test, and test. List the action(s) people take on your website that indicates they have a strong interest in your product or service. Usually we can determine who is more likely to be interested in your product or service by what actions they have taken on your site. So our first step is to identify some of those actions that potential customers are likely to take. Identify the one or more actions from above that are appropriate for the product or service you're selling. We'll use these actions to build your target audience in our next step. 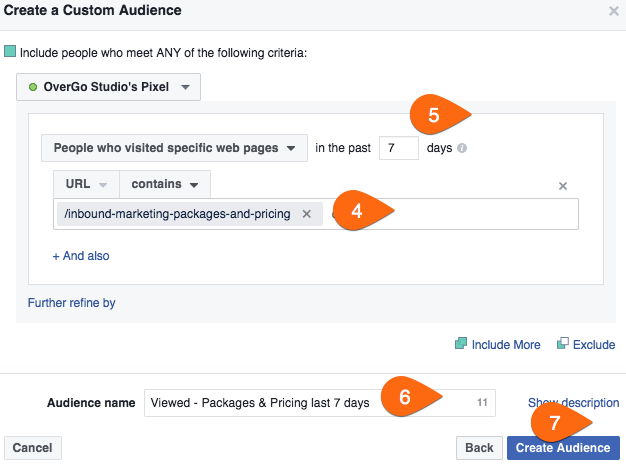 Use the action or actions you identified in Step 1 to build a custom audience in Facebook. Note: You will need to have the Facebook pixel installed on your website. In Step 1 we identified that people visiting our Packages & Pricing page are likely to have a strong interest in our inbound marketing services. 5. Enter the number of days you want to target these viewers. If you have a small amount of traffic you may have to lengthen the number of days to 30 or longer. Now we're going to build the actual ad people will see in their Facebook news feeds. There are many different types of ads we can design at this stage. For this example we are going to keep it very simple. The goal of this particular ad is to get those that showed an interest in our service to engage with us and ask any questions they may have. Success TIP: Always start by designing your ad copy and image before getting into Facebook Ads Manager. Make sure your ad copy aligns with the audience you're targeting and their actions. Avoid stock photos if you can. It is better to use a custom image. If you're targeting video viewers use a screen capture from your video. If page viewers keep your branding consistent with your website. The goal is to make your ad familiar and friendly. 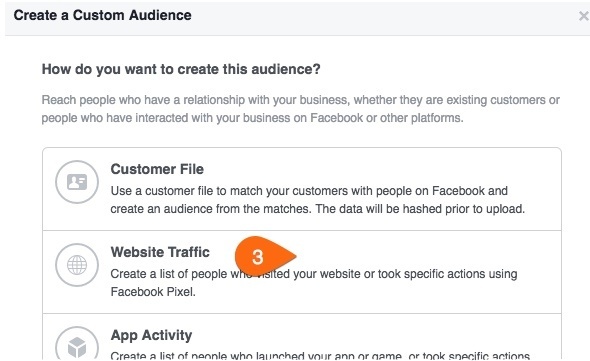 Now that you have all your ad assets let’s log into FB Ad Manager and build your messenger ad. 3. Under Audience go to Custom Audience and select the audience you created earlier. 4. Set your budget. I recommend using daily budget. Currently the minimum is $5/day. This is usually enough for this type of Messenger Remarketing Campaign. 5. Upload your ad image or video. You can also pick one from your existing library. 7. Place your headline here. Make sure it reads well on mobile, as most viewers will be on mobile devices. Click Review Order to check everything, then Place Order. Notice that our ad copy is very short and to the point. This is a very bottom of the funnel type of Facebook Messenger ad. We are only calling out the very few people that might have had a question about our services. This type of ad will have a very low engagement rate. That is okay because the few people responding are likely to be what we call sales qualified leads. When someone clicks this ad it will open their messenger app. When they send a message you can engage with them in real time. You or your sales team can monitor Facebook Messenger for this. During off hours you can use an auto-responder or a bot to assist. Once someone responds they will be on your messenger list. You can then automate messages to them just like you would do with email automation and drip campaigns. In future articles I will cover how to use messenger ads to generate top of the funnel leads for your business.